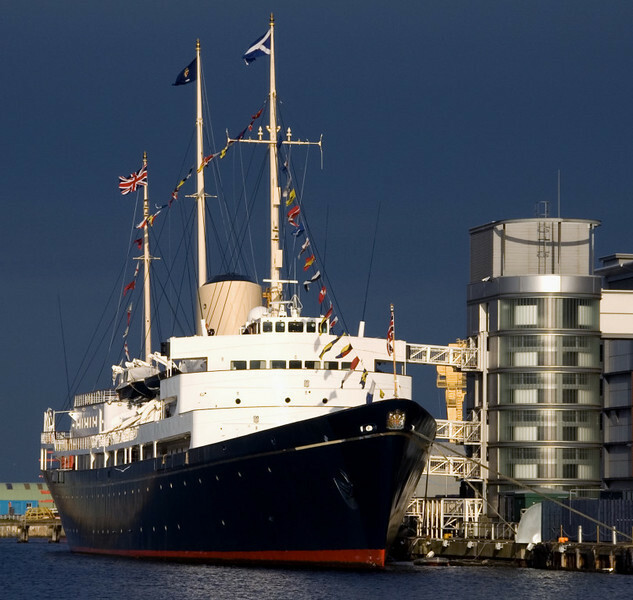 45 photos taken in 2007 of Queen Elizabeth II's royal yacht, now paid off and a museum ship at Leith, Scotland. Britannia, Leith, 14 October 2007 Britannia served Queen Elizabeth II as Royal Yacht for 44 years, 1954 - 1997. Built in Scotland, on Clydebank, she is now preserved in Scotland at Leith, near Edinburgh. Great shot of this venerable ship.